Off road driving isn’t only taking America by storm, it’s kindling the interest of Western Europe. There are a number of off road clubs in Ireland and Great Britain, offering classes in off road safety, as well as rugged obstacle courses that include mud bogging, river forging and rock crawling. However, you’ll discover quickly that most of these courses are privately owned and operated. Western Europe does not encourage driving off the main roads or making your own Jeep or off-road vehicle tracks. However, it does offer guide services in Italy, France, Spain and Switzerland. There is a spectacular off road track with a starting point in Calais, France, that heads south, into the French Alps, with incredible mountain vistas and scenery. From France into Italy, you’ll follow an ancient trade route on a winding trail that brings you through quaint Italian villages and climbs to breathless heights, where the sharp snowcapped peaks of the Alps frame deep valleys and golden meadows. You can visit a 10,000 foot glacier or visit one of the forts of Mussolini. Final destination point is Mont Blanc, and its famous 170 mile walking trail winding through the high altitudes of Switzerland. If you choose to off road drive on your own, there are some rules you need to go by if you don’t want to run into trouble with the law. Stay off all posted property. They are very strict about trespassing and will even hunt down wayward Jeeps and 4X4’s. Swamps, dunes, coast lines and national parks are off limits. All other tracks you are allowed to drive, if you don’t damage them. This can even mean driving a track while it’s wet and leaving mud prints. Stay out of forests as much as possible. Most of the forests are hunting reserves or are privately owned. Drive slowly and in small groups. Do not throw any litter out the windows, not even cigarettes. Unless you’re absolutely sure it’s official, do not attempt any water crossings. There are many exciting places to visit in Europe, but for a safe off-road experience, it’s probably best to contact private off-road clubs. If Europe’s rules seem too rigid, maybe you’d prefer a place where driving rules don’t seem to exist at all. When you are in India, what side of the road do you drive on? The answer is, any side you don’t see an oncoming car. Indian drivers apparently like to begin their trips in the middle of the road. They move to one side only after a little breathless chicken on the road game playing, and you have to watch sharp to decide which side they’ll take. It’s recommended you leave your headlights on at all times, day and night, as Indian drivers don’t seem to see you otherwise. The large majority of the roads going out of the cities could be technically called off-roads, because few are paved, and even fewer are maintained. Obstacles in the road could include rocks left after a truck spun to the side and their tires hurled a collection of stones into the road, crossing or idling cattle, or a person sleeping at the side of the road. During the monsoon season, the roads are often flooded, with giant mud puddles to slosh around in and shallow flood run-offs. In the dry season, you’ll find patches where farmers have left their grain to dry in the road. You’re expected to just drive around them, so if you don’t have a high riding suspension system, it could get a bit risky driving the road at all. Sometimes, you’ll find giant holes that someone dug into the road for no apparent reason, but it does make an interesting obstacle course. If they have very little concern about the proper use of roads, at least you’ll find the people of India warm, friendly and as curious about you as you are about them. We all know the little joke about how Iceland avoided becoming over-populated by stating they lived in a land of ice, whereas if you keep traveling west, you’ll find the country of Greenland. It was a great diversion tactic that sent early explorers merrily on their way to discovering a true land of ice and eventually, a northern route to North America. Iceland does have an extreme climate; rainy, mid-range temperature in the summers and below zero weather in the winter, but it is probably one of the most incredibly beautiful places on earth. It’s a land of volcanoes, fjords, glaciers, icebergs, deep ravines, and cliffs that drop straight down as a solid wall into the sea. The off-road driving is among the best, with a rugged terrain of heaving boulders, jagged mountains, and valleys so green, you can only pause to gaze in wonder. The island has an extremely low population, just three hundred twenty thousand, and the largest percent of that population is located in the town of Reykjavik, with 198,000 inhabitants. Most of the countryside is very wild and very rural, with white water rapids, crystal clear lakes and dazzling waterfalls. Accommodations range from hotels, to overnight stays in farm houses to camping out on your own. 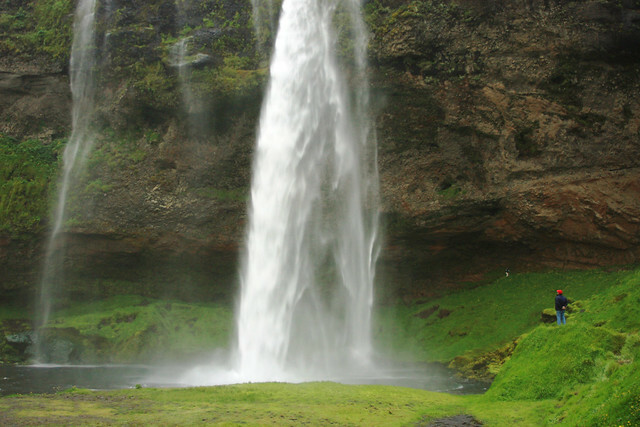 The language is Icelandic, but English is a widely spoken language. Do they like four wheel drives? Do they like Jeeps? You bet they do! Iceland has its own extreme formula driving course where the motor sport competition demonstrate their no fear philosophy by doing flying leaps over rocky gullies, spinning with break neck abandon over lava beds, race through mud and water, and do dare devil antics on narrow tracks that cut vertically straight through the walls of dirt and gravel ridges. If you’re hungering for extreme driving, Iceland is the place to go but be warned. Timidity is not a word in their off road driving vocabulary. Take away the political tension, and Mexico is one of the most charming and beautiful places you could ever hope to visit. Most of the roads have a bit of a skin tingling feel to them, especially if you are in a mountainous area like Durango or Morelia, but nothing sends the goose bumps running like the State of Oaxaca. Oaxaca is spectacular with ancient Mayan and Aztec ruins, and getting to them can be a bit of a high jitter ride. Oaxaca City lies tranquil, in a sweet tropical valley, with rain forest Mountains rising up behind it. The roads centered around Oaxaca are primarily paved, but if you aim your Jeep at Hautla, it’s a whole different story. Hautla is high in the mountains, on a very narrow road, mostly unpaved. During the rain season, it is covered with pot holes, sliding rocks, and soft sides that bog down immediately if one wheel should slip off the track. There are times, as you round a steep corner, you’ll feel the urge to do what so many of the local people do when navigating the bends, the dips and harrowing passages on this primitive rout; genuflect and send up a little prayer of thanks when you’ve made it to the next spot that isn’t clinging to the edge of a hundred foot drop safely. The people of Oaxaca are generally friendly, although you do have to watch for marauders in the small towns. You must keep an eye on your possessions at all times and have plenty of bug spray. It’s best to use the buddy system of at least two Jeeps, and secure a trust-worthy guide in Oaxaca City before attempting your adventure. If you get stuck on the side of the road, which happens easily as this is very serious rain forest with a very primitive road, there’s little chance the inhabitants of the tiny villages will help you. If you don’t have a buddy vehicle and don’t have a winch, you’ll either have to figure out how to get out of the ditch by yourself or wait for assistance from the next approaching vehicle. In the meantime, the village inhabitants will bring out the chairs, offer soda pop and native foods for sale, and watch the spectacle leisurely as you labor to free yourself from the ditch. Very few people within the state of Oaxaca speak English, even in Oaxaca City, unless you remain in a tourist oriented destination. Spanish is the primary spoken language, with a variety of indigenous dialects. It’s an extremely varied and beautiful region, and one of the most amazing off-road experiences, where the ancient collide with the modern, the forests run into deep lagoons, high desert plateaus bask in the sun, and the people, living in the shadows of moldering pyramids and temples, believe in magic.